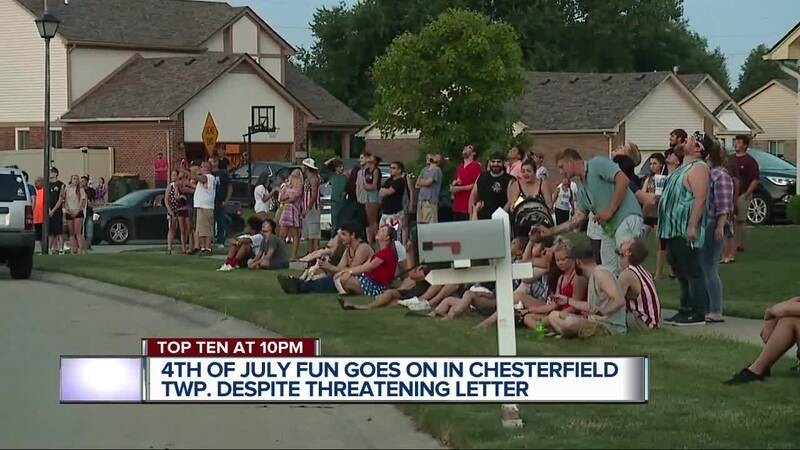 Despite an ominous letter threatening retaliation if the writer hears fireworks after 9 p.m., people living in the Chesterfield Township neighborhood of Engle Nest still celebrated the Fourth of July. Tony Ivanaj was one of several people who received the letter. He set off fireworks off at 9 p.m. on the dot. “Don’t let terrorism win ... if you give into fear you lost,” Ivanaj said. The letter, with no name on it, says the writer works an overnight shift from 4 a.m. to 2 p.m., and that during last year's Fourth of July, the writer only got two hours of sleep. RELATED: Michigan resident threatens to make 'lives miserable' for neighbors blasting fireworks after 9 p.m. 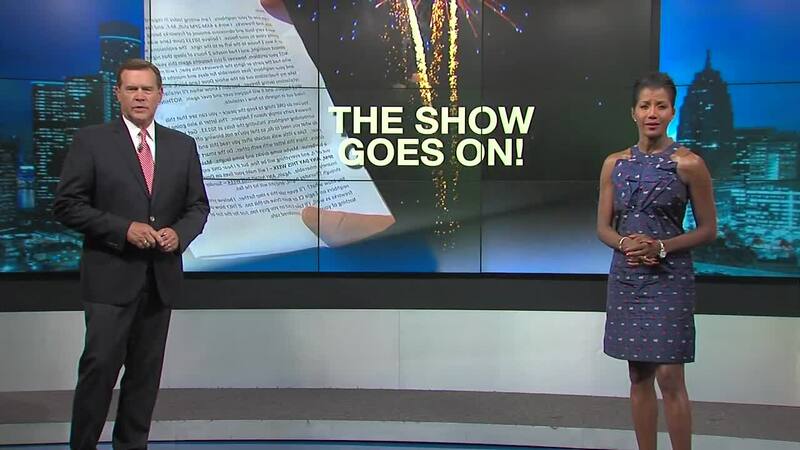 It stated that if the writer heard fireworks go off after 9 p.m. anytime this week he or she will retaliate for days and months to come. This letter didn’t stop Ivanaj and others from celebrating. “It’s awesome to see the community come together over something that they all agreed was just unfair – that letter. It’s just ridiculous,” Ivanaj said. Just down the road from Ivanaj was Jeff Rikki, holding a corn hole tournament. It cost people $10 to play and the money went to charity. “It was the negativity from the letter that made us want to turn around and bring the community together,” Rikki said. Chesterfield Township Police was also on hand to eliminate any of the fear, driving up and down the suburban neighborhood to ensure everyone was safe. The party went on with this final message to whoever wrote the letter. “Thank you," Ivanaj said. "Thank you for writing it because you have brought the community together ... I don’t think anyone had any idea it would bring together this many people."